The future of wearables will see convergence. 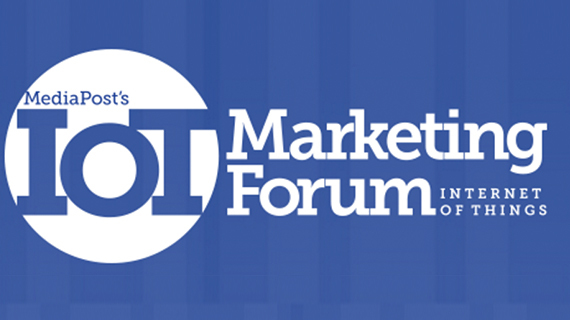 This was a general consensuses from a panel of agency executives at the MediaPost IoT Marketing Forum this week. “Wearables can add another layer of context to data,” said Marley Kaplan, who heads innovation at Kinetic Worldwide. Chad Vavra, experience strategy and design director at Isobar, suggested that wearables will undergo a convergence and ultimately land on products that can track, monitor and sense multiple types of metrics. Vavra also said the key value for consumers will be in aggregating the data into a dashboard specifically tailored for the individual user. Vavra pointed to the fact that he used to wear multiple different fitness trackers, but ultimately moved to a single smartwatch, which can deliver more all-around functionality. A distinction was drawn between wearables and sensors. Wearables, like fitness trackers and smartwatches, have processing power and provide interactive communication with a consumer or device. Sensors don’t collect data, but can be read or relay information, such as touch input and gestures, to other devices. Sensors are significantly smaller than wearables (they are actually in wearables) and can be embedded into products. Kinetic Worldwide’s Kaplan pointed to a partnership between Levi’s and Google’s Project Jacquard, which could see such sensing capabilities literally woven into clothing. Other wearables mentioned were head-mounted devices, Google’s infamous Glass in particular, and a somewhat new category, hearables. Hearable devices are currently making their way to the U.S., but some examples include Doppler Labs’ Here Active Listening wireless earbuds, which act like augmented reality for hearing. They let a user filter and manipulate the sound entering their ears, through a smartphone app. Another hearable is Samsung’s soon-to-be-released Icon X wireless Bluetooth earbuds, which can monitor heart rate in addition to streaming music.